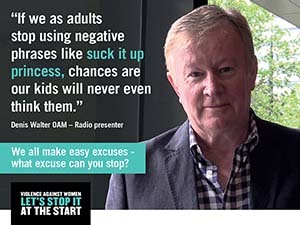 You’ve probably seen the new advertising campaign targeting domestic violence, funded by the federal government, which urges Australian’s to "stop it from the start" and address early signs of violence towards women. 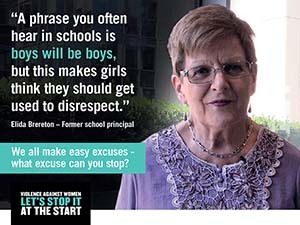 The advertisement aims to eradicate even small and 'minor' incidents of disrespect, and to remove the excuse that "boys will be boys." 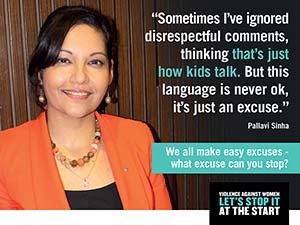 The underlying message is that ‘silence’ endorses ‘violence’. 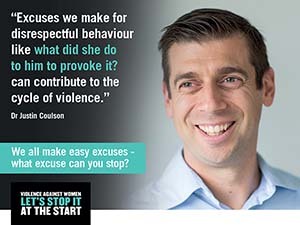 The $30 million campaign was unveiled by the Commonwealth Government in April 2016 and the ACT Government is on board with the National Campaign as one of the many steps we are taking to prevent violence against women. 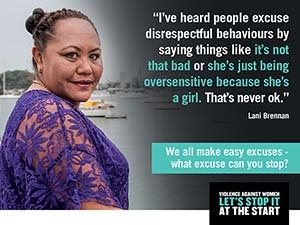 There is much more to the campaign than the TV advertisement, so please visit the respect.gov.au website, join the conversation and get involved. 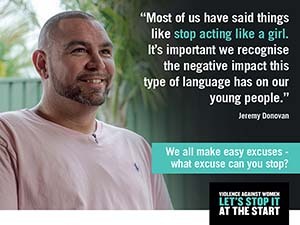 Domestic violence is a ‘whole of community’ problem, requiring a ‘whole of community response’, and together we can make a difference. an animation to provide facts and dispel myths on the issue the campaign web badge to use on your webpage.